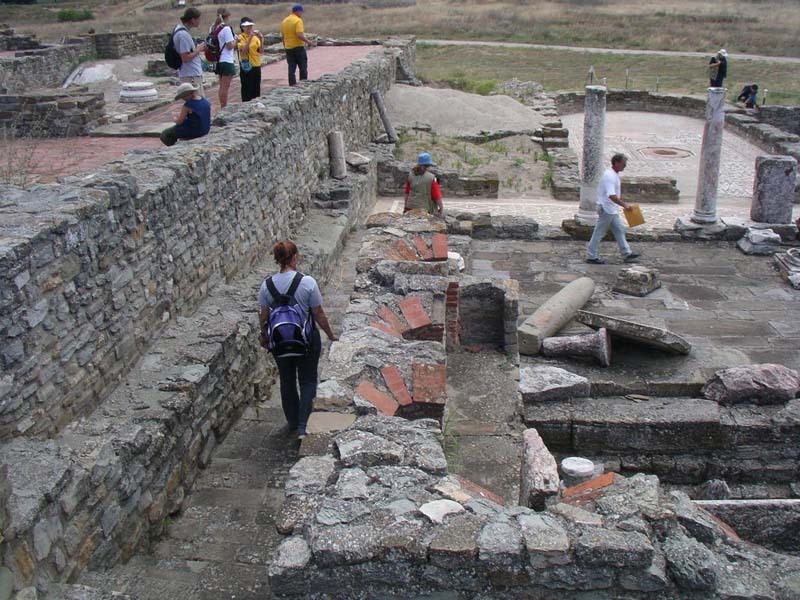 St. Louis Community College students and faculty explored the extensive ruins of Stobi in the Republic of Macedonia during July of 2005. 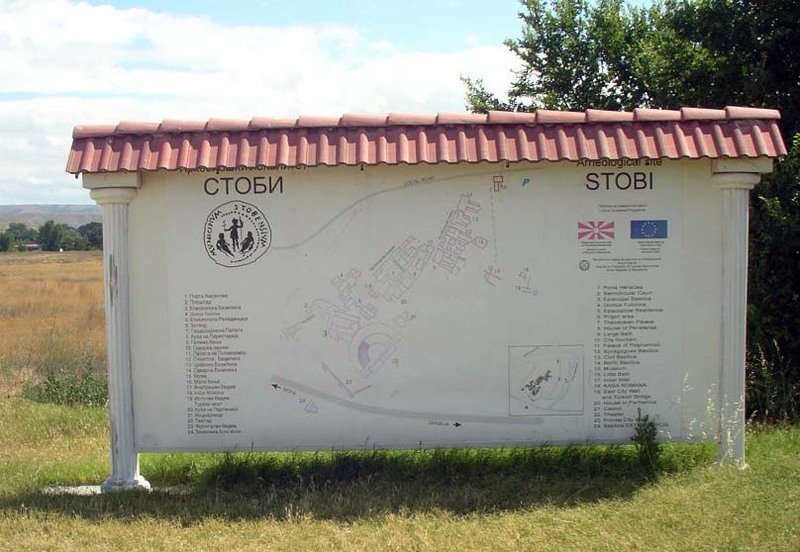 Map at the entrance of the archaeological park. 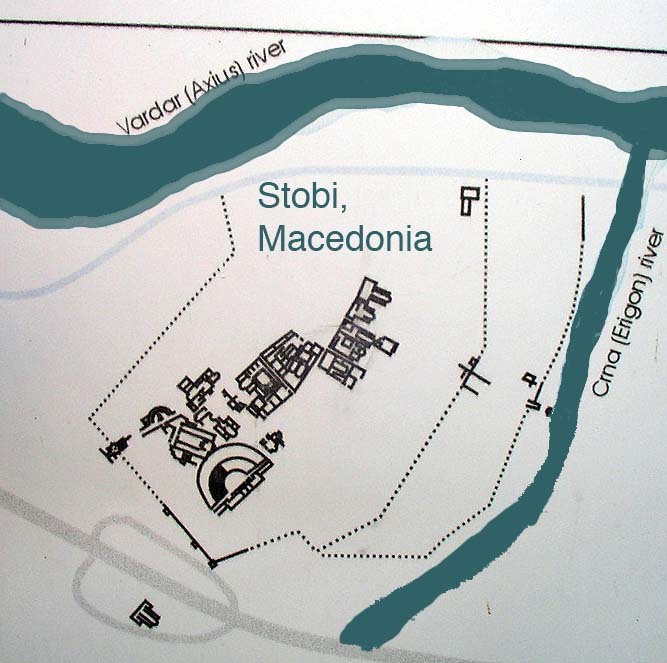 Stobi is situated at the junction of the Crna and Vardar Rivers. 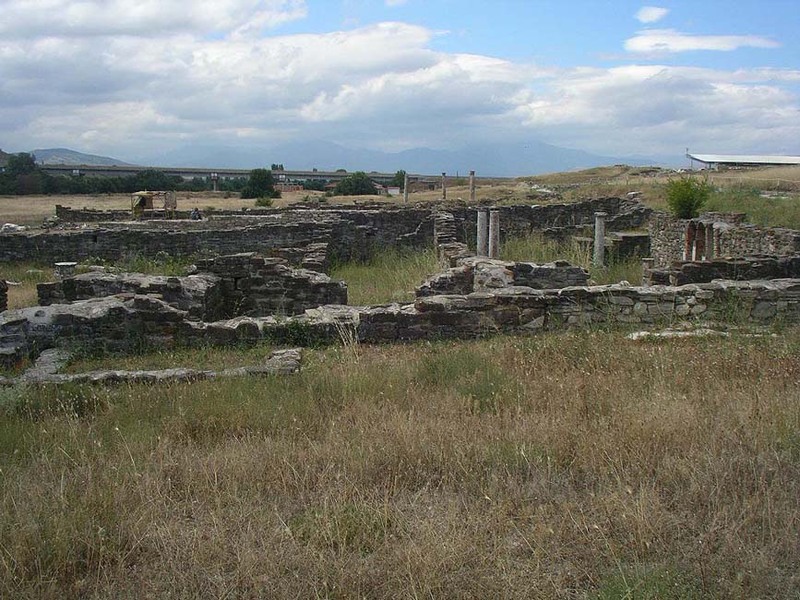 The major North-South highway in the Republic of Macedonia, situated near the edge of the site, can be seen in the distance. 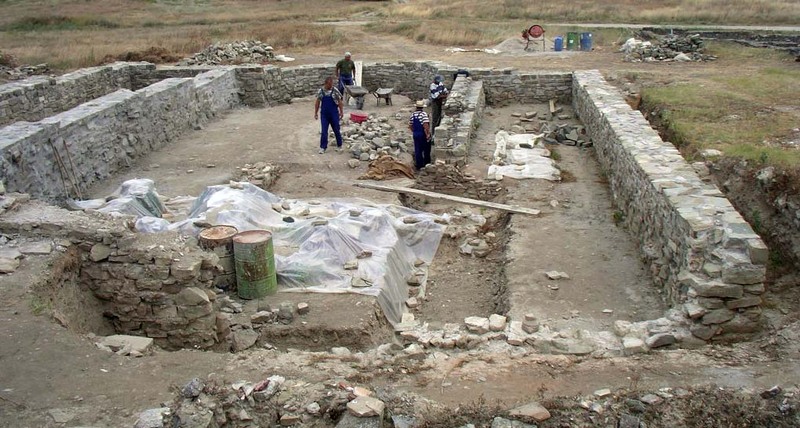 Macedonian workmen were conserving the walls of a Late Antique period church on the day we visited the site. 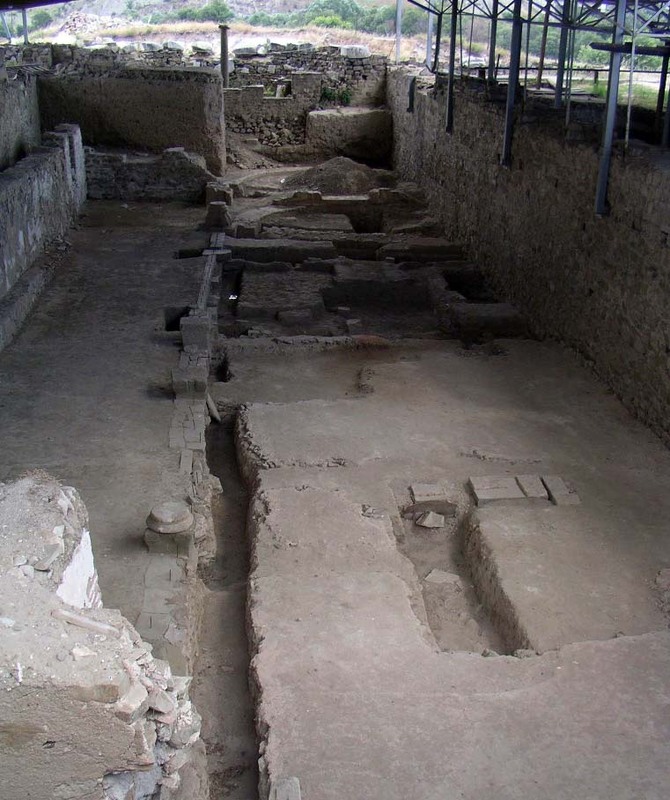 Large basilica was extensively excavated by Boston University. 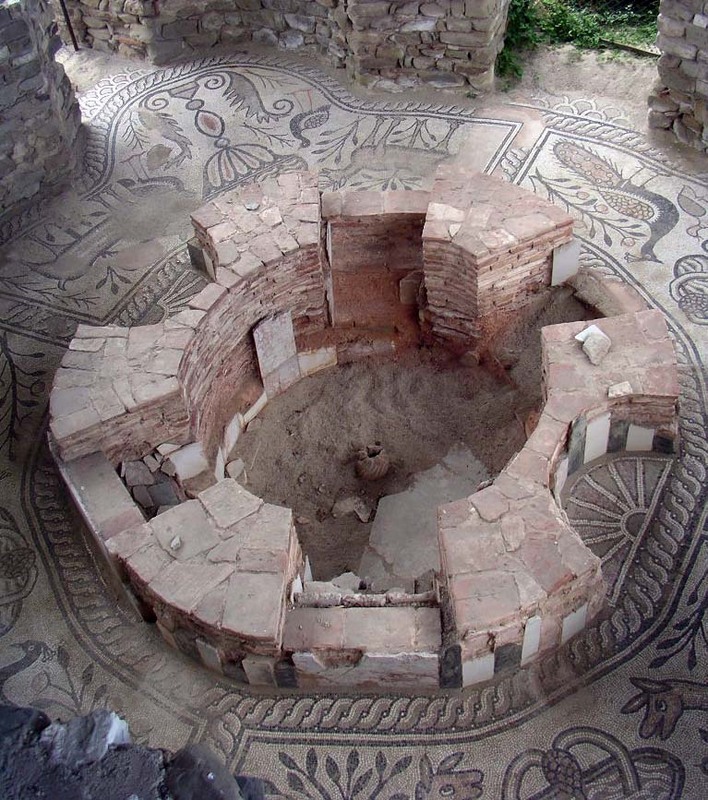 Overview of the baptistry situated along the side of the basilica. 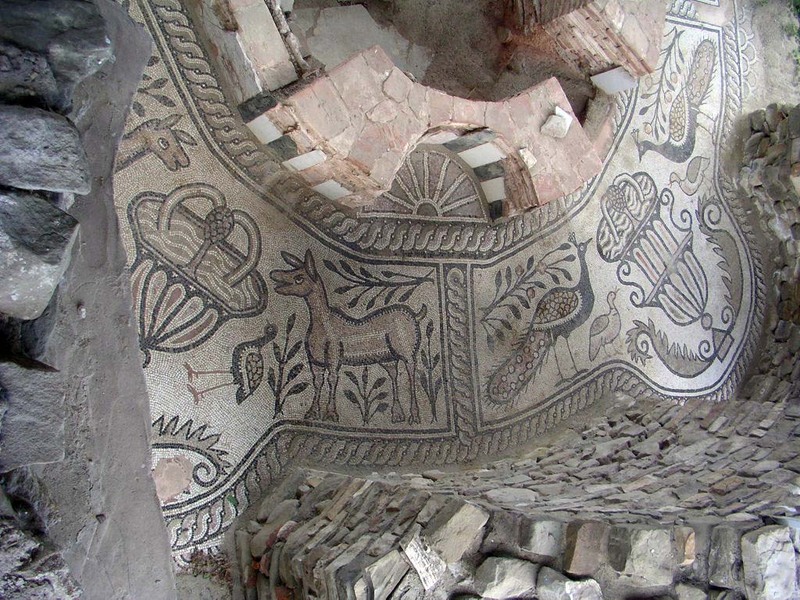 Detail of the baptistry mosaic. 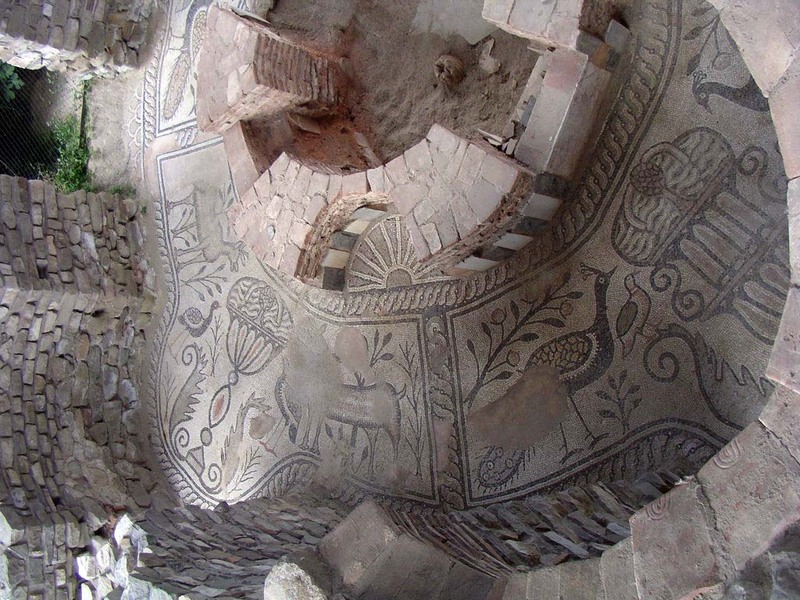 Fragment of a mosaic in the Stobi Museum. 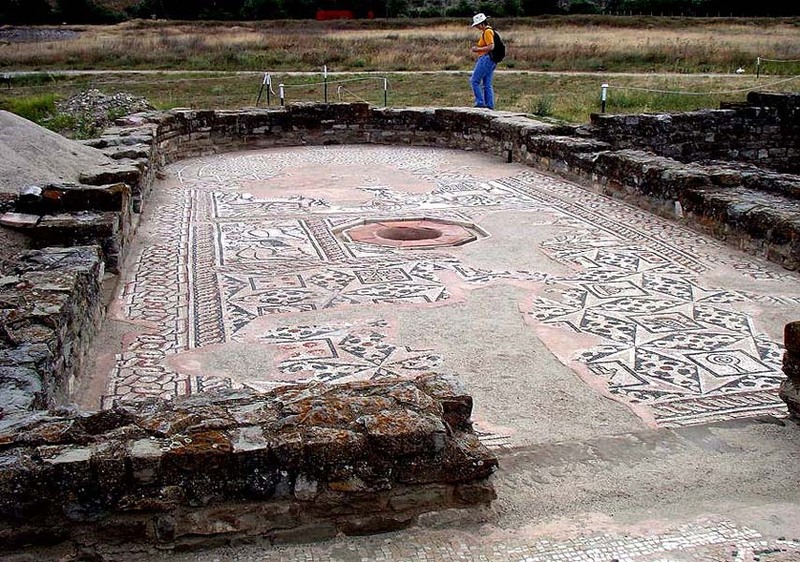 Mosaic floor and the apsed wall of a Late Antique church at Stobi. 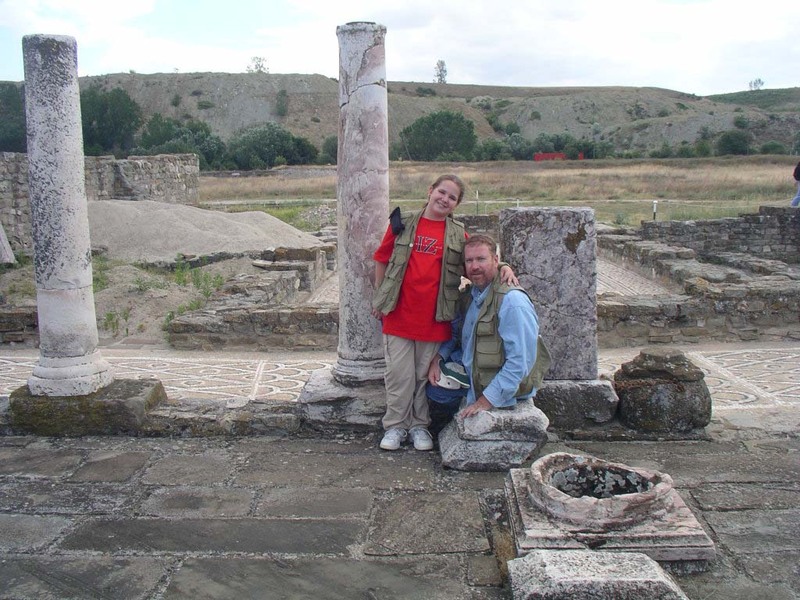 Amira Fuller and Professor Michael in the synagogue of Stobi. 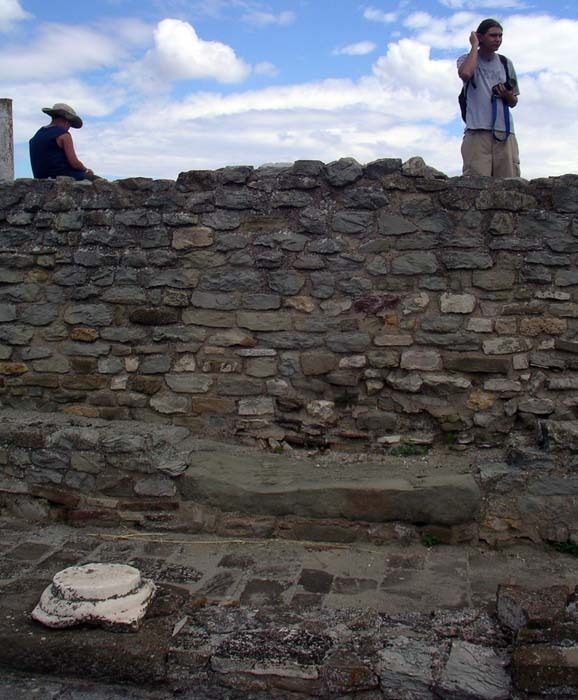 St. Louis Community College students examine the synagogue ruins (left) and adjacent ruins of a bath complex. Threshold to the original entrance of the synagogue that was covered by subsequent building phases at Stobi. 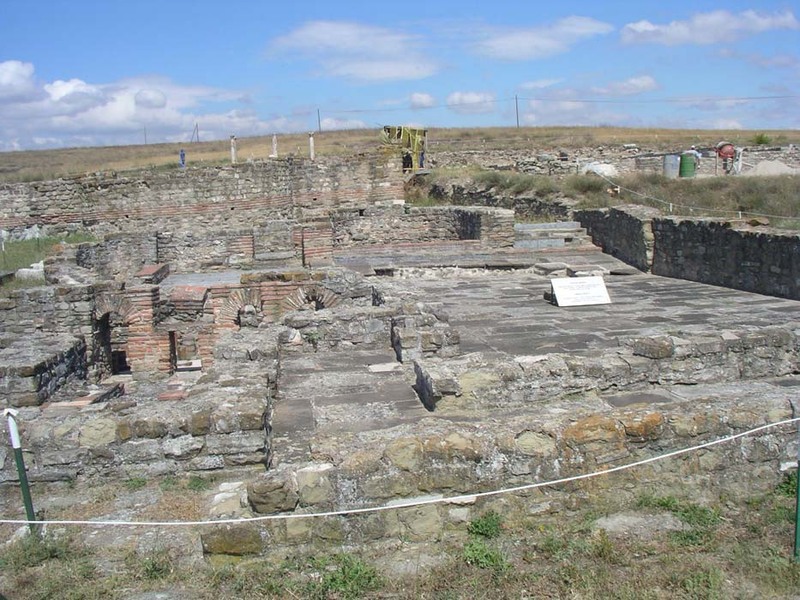 Ruins of the women's bath complex at Stobi. 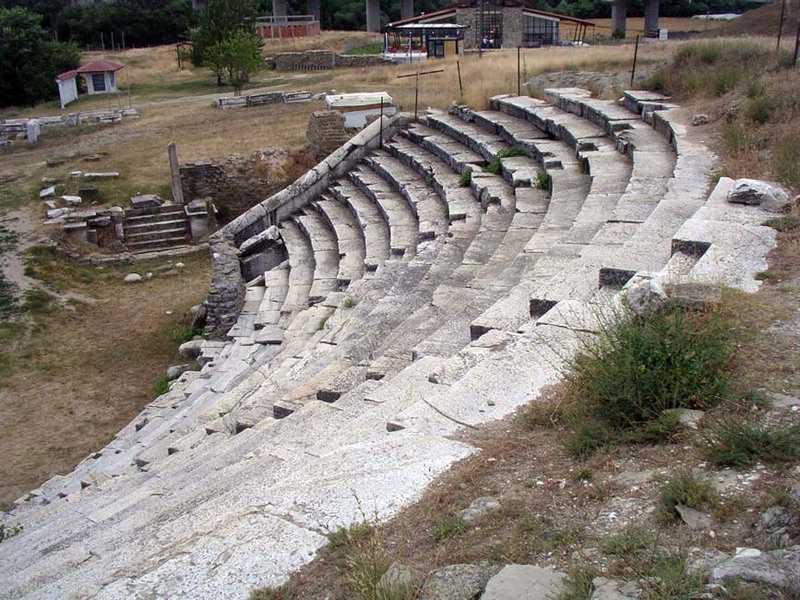 Theater at Stobi. The welcome center and snack bar can be seen in the distance. 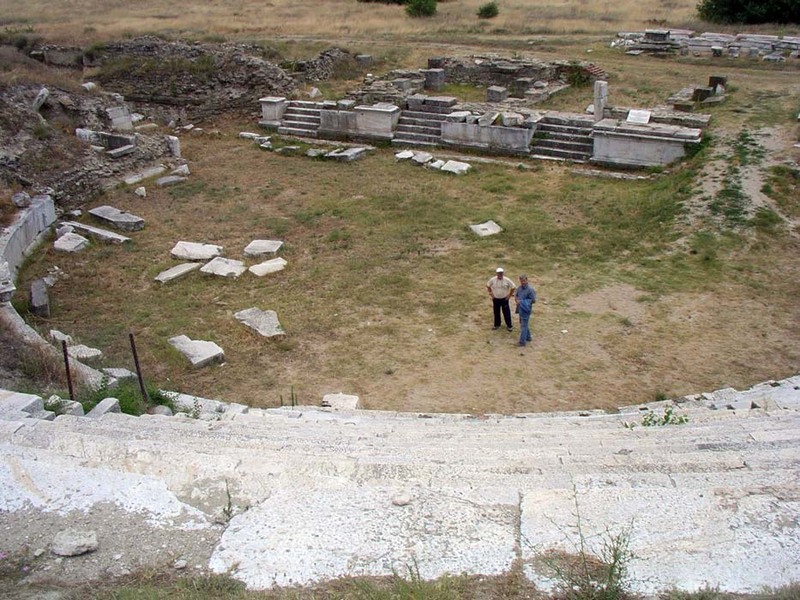 Ruins of the theater at Stobi. 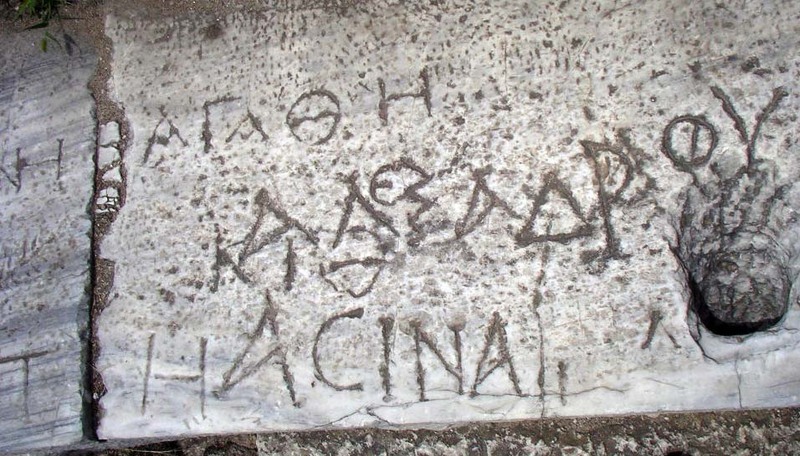 Greek inscription carved on a lower seat in the theater at Stobi. 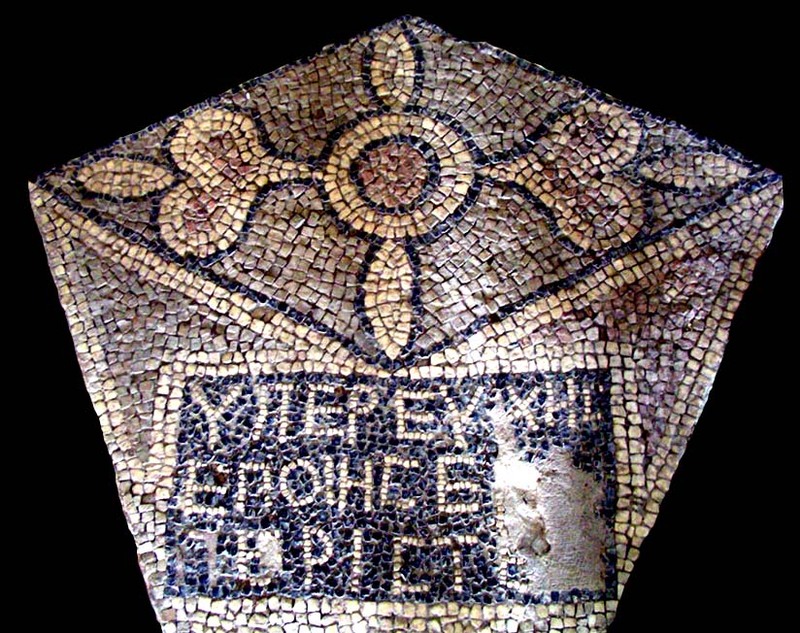 The upper line preserves the name of Cornelius Agathe.